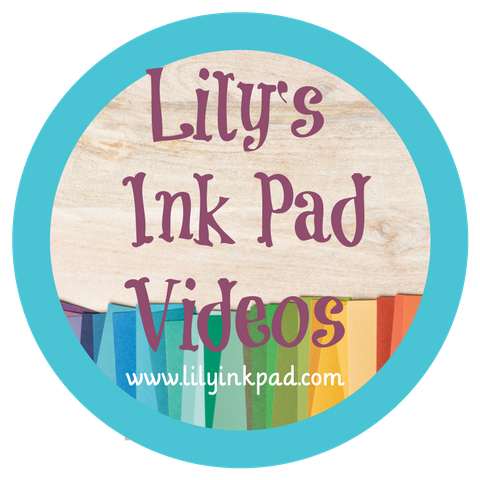 Lily's Ink Pad: Celebrate July! 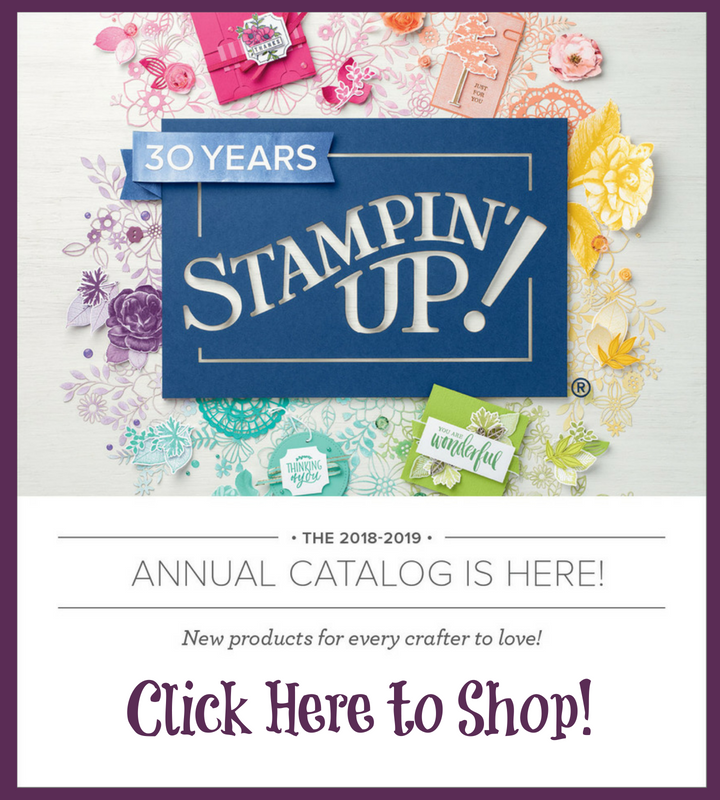 I love using Stampin' Up! stuff to scrapbook. It's pretty economical. 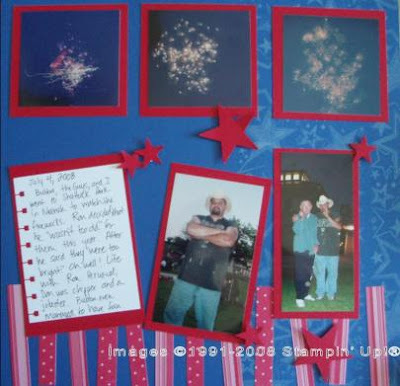 I used the Classic Stars Jumbo wheel with Craft White Ink to create the background on about half of my pages. Next, decided the page needed a red paper, but I didn't own any cool packs of Designer Paper that would work. 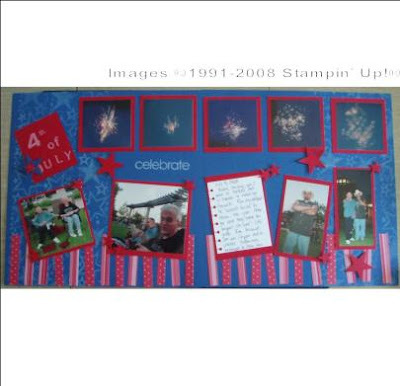 Then, over there, on my shelves, was a tin of scraps from a Sale-o-bration card I made! Yippee! Red Prints Paper. This paper is from the Prints Hostess Level 1 Pack. I thought I had used all mine on the firecracker centerpiece last week. The scraps were perfect for the bottom. On this left side, I then matted my photos and placed them. I don't always matte photos anymore, but on this page, I thought it was needed to set them apart. You can see Ron and Don up there, having fun in their chairs. I stamped the 4th using the 4 from Big Deal Numbers, and the "th" from Short Order Numbers. The month is from Short Order Alphabet. The word celebrate is from Celebrate Everything. Whew! 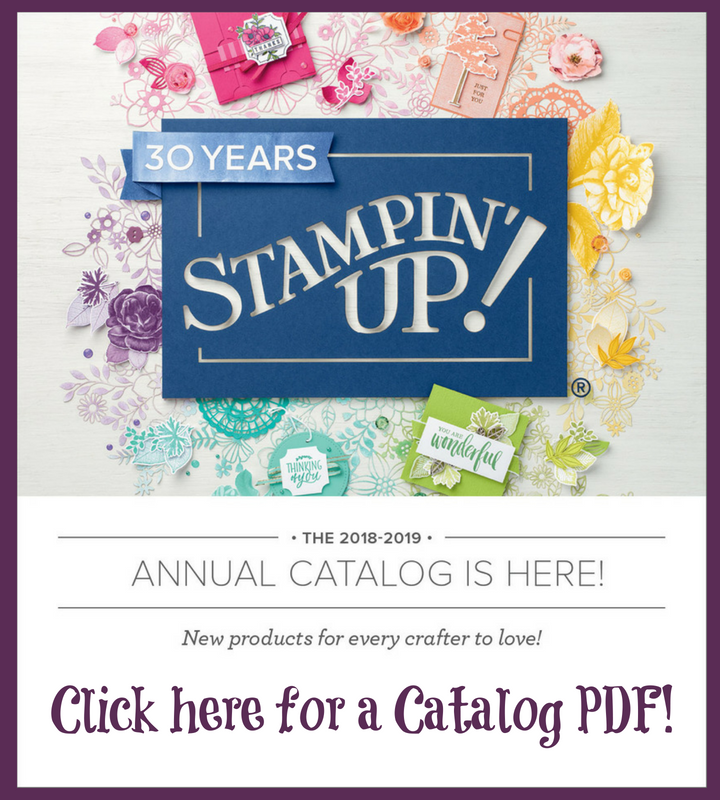 Good thing I was in my stamp room and on the road with this page! As we waited for the real show to start, I took pictures of an elaborate private show we could see over the water. I really wanted to emphasize the real thing on my page, so cropped all the photos to 3x3 and added a 3 1/2 by 3 1/2 Real Red matte. I also added journaling on this side by using my spiral punch to create a notebook page and wrote my memories by hand with a Stampin' Up! Journaler. For extra pizazz and because I love punches, I added stars punched in Real Red from the large star punch and small star punch. I think that's all of it. I really had fun. I've spent the majority of the last few days in my stamp room creating swaps for Convention which is three weeks away! I can't show you those yet, but you'll see them soon! After 100 cards on Monday, I needed a break, so I cleaned and organized. Not the fun part of the day! 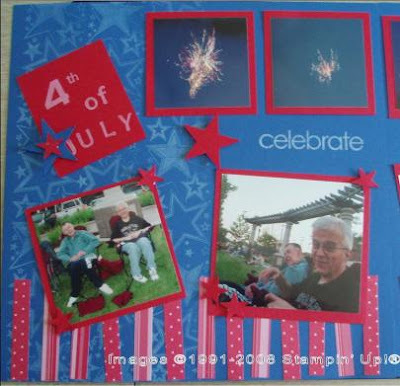 Tuesday, I worked on my scrapbook swap and finished that before more cleaning and these pages. Today, I have been finishing up things that are half done. By the end of summer, this room will be clean!